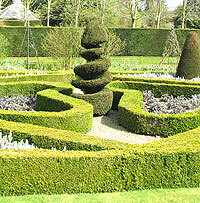 Find landscape gardening services or a garden designer in West Sussex. A Landscape Gardener will most often design your garden as well as building and planting it, while a Garden Designer will usually do the designing and will have qualifications for doing so. Landscaping a garden is no longer just for those who own acres of gardens in the grounds of very large homes or castles! Many ordinary people are now spending time love and money on creating beautiful gardens for pleasure. Carefully designed and landscaped gardens are a wonderful way of extending the living space of your home, This not only brings pleasure but adds value to your house. Garden Grower are providing this directory of Landscape Gardeners and Businesses providing garden services in and near to Chichester, Bognor Regis, Arundel, Shoreham-By-Sea, Hassocks, Worthing, Crawley, Horsham, Pulborough, Henfield, Littlehampton, Lancing and Haywards Heath in the county of West Sussex UK. A guide to finding a Landscape Gardener in West Sussex. This county has many beautiful gardens and there are plenty of Professional Landscape Designers and Gardeners and Professional Landscaping Companies based in West Sussex who are available to design and maintain your garden and provide excellent gardening services and advice. Design and Construction, Soft and Hard Landscaping, Decking Paving Walls Planting, Commercial and Domestic, Green Roofs and Green Walls, Coverage Throughout Sussex. Garden Design and Construction, Soft and Hard Landscaping, Full Design and Consultation, Highly Recommended and Reliable, All Aspects Of Garden Design. Garden Services, Maintenance and Management, Grass and Weed Control, Hedge and Shrub Pruning, Grass Cutting and Tree Work, Turfing and Pressure Washing. All Types Of Landscaping, Full Garden Design, Turfing and Seeding, Fencing, Tree Work Including Hedges, All Garden Maintenance. Quality Landscaping Service, Garden Design and Construction, Paving and Turfing, Driveways, Decking and Fencing, Water Features. Design and Construction, Patios, Paving and Walls, Hard and Soft Landscaping, Indian Sand Stone Specialist. All Aspects Of Landscaping, Fencing and Decking, Patios and Brickwork, Turfing and Planting, Drives and Slabbing, Residential and Commercial. All year grounds maintenance, Quality - Reliability – Value, For Offices, Schools, Hotels, Business Parks, FM Companies. Pond Design And Construction, Pond Restoration and Maintenance, Lakes And Wildlife Ponds, Koi and Garden Ponds, Brickwork, Paving, Decking, Hard Landscaping Specialists. Hand Drawn Garden Designs, Long-term Practical Experience, Fully Detailed Plans, Liaise With Landscapers. Garden Services and Maintenance, Commercial and Domestic, Low Maintenance Gardens Designed, Hedge Cutting, Turfing, Fencing, Tree Work and Garden Clearance. Landscaping and Lawn Mowing, Fencing and Pergolas, Patios and Drives, Water Features, Design and Construction. Patios, Drives, Decking, Ponds, Pergolas, Paths and Steps, Garden Clearance, Turfing, Planting, Brickwork. Commercial Landscaping, Landscape Architects, Japanese Knotweed, Grass Seeding, Hydro Seeding, Maintenance Contractors, Hedge Layering, Ditch Clearance. Garden Design and Construction, Paving, Planting, Rock and Water Gardens. Fencing, Hard And Soft Landscaping, Paving, Drives, Patios, Turfing, Groundwork, Commercial and Domestic. Hard and Soft Landscaping, Paving and Paths, City Gardens, Family Gardens, Portfolio Of Work To View. Free Consultation. West Sussex Landscape Gardeners and Garden landscaping contractors businesses and garden design companies that will provide hard and soft garden landscaping and design services, lawn turfing , lawn seeding, planting plans, hedge trimming grass cutting and garden maintenance, design and building of water features in West Sussex.